"Walking down a dirt road in a poor Village on the outskirts of Sucre, Bolivia, a woman opens the door and invites complete strangers to walk into her home. Yes, they are Food for the Hungry volunteers; yes, she needs help; yes, she needs prayer and the peace that only God can give. But Marta had to open the door when every..."
Walking down a dirt road in a poor Village on the outskirts of Sucre, Bolivia, a woman opens the door and invites complete strangers to walk into her home. Yes, they are Food for the Hungry volunteers; yes, she needs help; yes, she needs prayer and the peace that only God can give. But Marta had to open the door when every wordly-thing about her told her not too. God helped her set aside her pride, fears and hesitation. Or maybe she did hesitate? Only she and God know what happened on the other side of that door while we waited for her to answer. Ultimately, God gave her the strength and courage to seek Him, our being there was simply a testimony of her desire to seek the Lord. I had tears in my eyes as we listen to her story. She spoke of her pain, the pain of her children and the pain of her husband. So, we did the only thing we could; we prayed. As we did, peace replaced doubt and hope shown on her face. I walked away from that experience with humility and wonder and it was not the first, nor I am sure will it be the last, time God humbled me through an experience like this in Bolivia. I wondered about how someone could set aside pride and fear and allow God to take the reins. Could I do that? Why can't I open the door for God? It was humbling to see God work when pride and fear was removed. When God brought me the opportunity to serve on a short-term mission team in Bolivia, I honestly didn't hesitate to open that door, even to run through it. As a nurse, God has graciously given me the gift and the heart to help people. Little did I know at the time, saying yes to a short-term mission trip wasn't the only door God was asking me to open. After that experience with Marta, (this was on my second trip to Bolivia) God showed me the door to open. My closed door, the one I was meant to open and experience, was to serve God. Being a part of the Bolivia ministry has shown me what it truly means to serve God, for God's glory. Not my own. We live in a world of instant gratification. We live in a mindset of "quick fix". This ministry taught me to be patient and there is never a quick fix. Serving God for His glory is to build up His earthly kingdom. In Bolivia and with the teachings of Food for the Hungry, that means to make those in poverty self-sustaining. To teach, to pray with, to bring biblical principles to others and to build relationships. None of those things are easy, quick or instant. They take time, prayer and hard work. My instinct was not to open this door. God called me to follow His lead and serve Him. Therefore, I had to get out of the way. I had to throw away my instincts of "Me" fixing it. I had to forget that I always have to have the answers and I knew God would show me my own poverty. I had to admit my pride and repent. I prayed and prayed. I repented. I asked God for the courage and strength to open that door. I am so glad I did! My heart was transformed. My eyes were truly opened. I saw God working and I saw how I was to be used. He showed me where I had poverty in my own life. I saw that I had a gift to bring to the ministry and the gifts others gave me. With God’s newfound sight for me, it changed my own relationships positively and strengthened my faith. The staff members of Food for the Hungry Bolivia and the people from the community were also teaching me. They all have given me the gift of lifelong friendship and they have prayed for me in my walk with Christ. I would trade my sinful pride and fear for what I have gained and learned anytime! Praise God for putting that closed door in front me and giving me the strength to open it. Serving in the Bolivia ministry and given me the opportunity to serve God, serve others and strengthen my relationship with Jesus. God has many closed doors for all of us to open. Which door has God asked you to open? This upcoming Bolivia trip is very exiting for me. This will be my first trip, and I think that God has given me this opportunity for a reason. I will be able to shine the light of God, as well as make new friends. I believe that God has blessed me so that I can be a blessing to others. However, I know that I cannot truly help them unless I know what they are going through. This trip is a way to witness firsthand what our friends in Bolivia are going through. This trip is also exciting because I have a chance to expand my horizons, so to speak, and meet new people who do not speak my language. I am also excited to be a part of these kids’ lives and activities. I think this is a big part of having a real friendship. I hope that we can make a difference in their lives. But really, it is God who makes the difference. As we move closer and closer to the trip, it is hard to believe that this all started a few years ago, when I first started being interested in going. My dad went almost every year, and I always wondered what they did on these trips (well, I started wondering once I became old enough to wonder about these things). As I learned more about the trip, I began wondering, “Could I help people in the way my dad and the church do?”. I started asking to go when I was eight, but I am finally going now that I am eleven. I’d like to say thank you to the Mountain Christian Church for praying for all of us, my family and the missions committee for donating money for the trip. I am glad I am going, and I hope God leads is in our trip. A two-hour flight to Houston, seven hours to Lima, one hour to Pucallpa, and a three hour flight to San Lorenzo in a four seat Cessna and I am almost there. Actually, it takes an additional five-hour boat trip to reach our destination, Musakarusha. We are deep in the Amazon Jungle. Few venture here, there are only the indigenous Indians, the Candoshi Tribe. It is not surprising then that these are largely a forgotten people. The only signs of outside support are a dilapidated health center, school, and a non-functioning water system all built by the government. However, the Candoshi are not forgotten by Jorge Alverez and Pastor Victor. Both have committed their lives to bringing clean water and Living Water to these remote Indian villages. I first met Jorge in 2003 when I traveled to Peru to train Jorge and the American missionary employing him, Tommy Head, how to drill and install water wells. I continued to work with this team for about 10 years until I was more in the way than a help. It wasn’t long after this time that Tommy Head came to an untimely death in a motorcycle accident (his riding was part of his very popular motocross ministry). With Tommy’s death the entire responsibility for the ministry was placed on Jorge’s shoulders. But with God’s hand on him, Jorge has met the challenge in a very inspiring way. Jorge made big plans, he made important changes in the services he offered and he formed a local charity that allowed him to expand the ministry. One particularly important change was to invite other like-minded Peruvian’s to join him in the ministry. The key to it all is the personal relationship that the team establishes and maintains with each community. It was at this time that he met Pastor Victor, a then new pastor in a jungle village. Victor quickly took over evangelistic activities teaching biblical based hygiene, counseling villagers, and preaching the Gospel each night they are in a village. This effort has come with a price. The environment in which they work is dangerous, the rivers they travel are treacherous with huge trees laying just below water level ready to destroy their boat or motor; snakes, bugs, heat, floods; disease, particularly malaria that they both contracted this past winter putting them in the hospital for weeks; and even witch doctors that will incite drunken riots against them when they feel threatened. They also leave family and friends on a regular basis, living in hot uncomfortable conditions (there is not room service in the Jungle). However, their work has born much fruit. Their efforts have seen many come to Christ, almost 700 wells have been installed and maintained, and the physical and spiritual health of the Indian’s has measurably improved. The key to it all is the personal relationship that the team establishes and maintains with each community. This is so evident as we motor down these remote rivers and in each village that we pass villagers run to the banks and cry out Jorge and wave vigorously. Jorge and Victor have gained the Candoshi’s respect, trust and appreciation. This is difficult given their past experiences with the government and outside world. As I pack up to leave I am left with a single thought. These are the right men for the right job at the right time in this difficult environment. God’s hand is squarely on their ministry and it shows in their incredible heart for these people. I am also confident that we are a blessed church to be part of this ministry and able to support a portion of their transformative work. Please keep Jorge, Victor and the rest of the team in your prayers. Will You Go Near or Far? As Christians, we are commanded to spread the gospel to every tribe, nation, and tongue. We are called to go, send, and support. 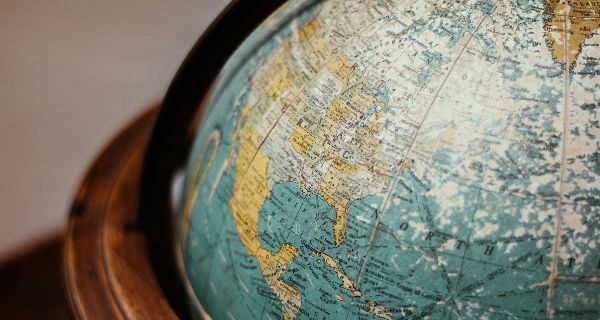 Depending on your individual circumstances, overseas travel may not be right for you. But, since begining our partnership with Food for the Hungry in Bolivia more than 10 years ago, it has been right for more than 70 of our congregation! An astonishing number for the size of our church! But not everyone has to travel overseas to be a part of mission work! Many others participate locally, through prayer, encouragement, financial contributions, sponsoring children in Bolivia, and participating on our Missions Team. Our church was founded years ago by a group of believers who thought missions programs were a critically important part of our being Christians, this commitment carries on today. We have designed our missions program to spread the gospel locally, overseas through organized short-term mission trips, and through engagement of native missionaries in remote areas of the world. Below are short descriptions of some of our missions’ programs. Juntos is a program located in Albuquerque’s International District. They focus on reaching at risk youth by giving them a place and programs where they can be safe while hearing and reading God’s Word. As part of the Navigators urban ministry, paid Navigator staff work with volunteers from several partner churches, including MCC, to provide evening, after school and summer programs to more than 100 regularly attending youth. This year with generous giving from our church, we are supporting a new program of workshops requested by the youth to introduce them to art, cartooning, pottery, wood working, and robotics. International Students, Inc. (ISI) is a faith-based program at the University of New Mexico providing support to newly arriving international students from all over the world. With approximately 500 international students attending UNM each year, the opportunity to reach out and welcome new students is significant. ISI provides furniture, beds, housewares, transportation assistance, English training, Bible studies, and mentoring through volunteers who have a heart for working with international students. Bolivia, through our relationship with Food for the Hungry, has been a vital MCC missions program for more than ten years. A short-term mission trip is held each year, usually in March/April. FH works with our team leader to organize the activities of these week-long visits to Villa Margarita near Sucre, Bolivia. 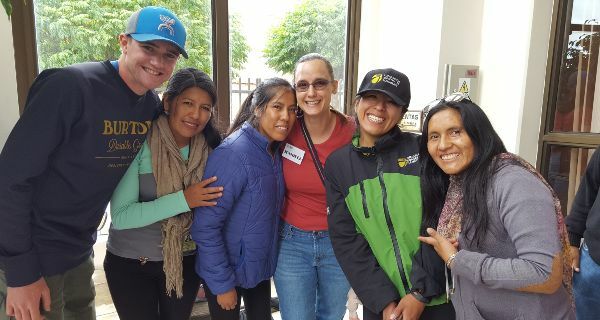 These trips are about relationships that are led by the Holy Spirit to be transformational both for those who go from MCC and the Bolivians they meet in country. Reaching unreached people, primarily in Peru and Ethiopia, is another focus of the MCC Missions Program. 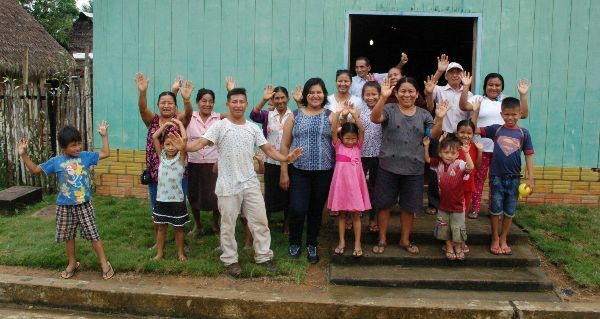 In Peru we work with a local organization (AMFA) to bring clean water to remote and mostly forgotten villages in the jungles where the Amazon River starts. As part of the team that drills and constructs the well, a native pastor teaches the gospel and shares about Jesus Christ through oral teaching and the Jesus movie. 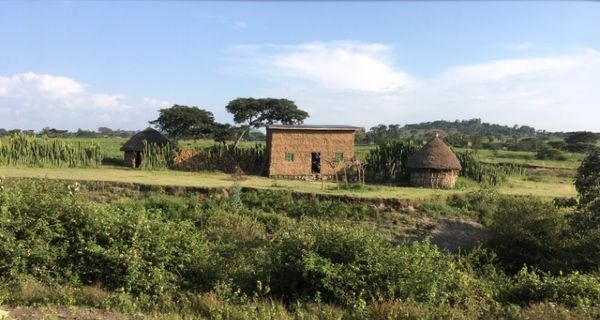 In Ethiopia, we support four native missionary pastors who have traveled to remote regions to share the gospel and plant churches in remote villages. In both Peru and Ethiopia, our efforts are bringing souls to Christ while transforming lives and communities. As you can see, having a missional focus can take you across the world or just to Albuquerque. The programs with Juntos and ISI are a good starting point for becoming involved in our missions programs locally. If overseas travel is appealing, then joining our annual short-term mission trip to Bolivia is a great way to participate in a well-organized trip working with FH staff and our team leader in Villa Margarita Bolivia. Our missions programs in Peru and Ethiopia need prayer support and financial support. The native missionary pastors we support face many challenges including disease, venomous snakes and dangerous animals, armed robbers and attackers, and resistance from witch doctors. I hope you are encouraged to learn more about our missions programs and to get involved. Please see me, Tom O'brien, or any member of our missions team (Emily Gray, Jake Gray, Sami Guiterrez, Tom Young, Vince Tidwell, Joann Talent, and Jennifer Ward) to ask questions or learn more about MCC Missions. Can the Lord truly change a Man? Meet Demeke! He is another one of our Hawassa graduates, and one who will be co-teaching with us this week. Over my visits in the last four years, he has become a friend. Since I was arriving later than the rest of our TLI training team, Demeke was dispatched to the airport to come and receive me. His was the first friendly face that I had seen in many long, harrowing, and weary hours of traveling. After a rich welcome, we began the bumpy crawl of a drive back towards Shashemene. In the front seat of the van, as we sat nearly on top of one another, I learned a new part of his story. You see, Demeke has a great sense of humor; but also a fierce seriousness about the things of God. In part, that’s because he used to think that he was serving the Lord, when really he was working on the other side. Demeke grew up in a family that was Ethiopian Orthodox, a church that has deep roots here. To this day, his elderly mother is an Orthodox monk. Demeke was zealous in his faith as a young man, and even persecuted evangelical Christians. He led others to do the same, and they followed. At one time, he was responsible for the burning of the homes of 35 Christian families, and the dispersal of their belongings. This man has since been won to Christ, and been in his service for many years. He now pastors, and mentors missionaries. In fact, he currently supports our four native MCC missionaries - Epheson, Beyene, Tesfaye, and Henoke. Demeke continues to grow as a faithful teacher of God’s Word. He is an integral part of God’s church here in Africa. Please pray for Demeke, and all of the Ethiopian graduates who will be co-teaching next week. They are learning quickly, and we are also learning a great deal from them.